Maji Safi Group’s first ever Shirati’s Got Talent! 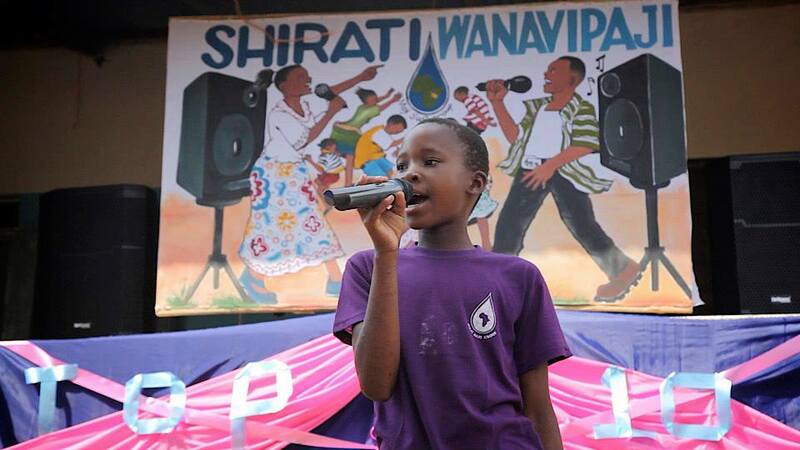 The Maji Safi Group (MSG) team came up with the idea of “Shirati Wanavipaji” (“Shirati’s Got Talent”) as a community empowerment tool to draw attention to public health and disease prevention issues, while simultaneously bringing out pride in the immense talents the Shirati community has! After discussing the feasibility of the idea for over a year, MSG started the competition with a bang on February 7. Auditions drew more than 35 individuals and groups, including some of the more prominent singers and dance groups in Shirati. Hundreds of children were at the office that day trying to get a sneak peak of who would be the lucky 10 chosen to advance. To try out, all you had to do was receive four different Water, Sanitation and Hygiene (WASH) lessons from the MSG Community Health Workers (CHWs). This method gave us participants as young as seven and as old as 35. After the judges had selected the 10 semifinalists, it was time for MSG to start preparing for our Valentine’s Day semifinal event – buy decorations, organize the songs each competitor was going to use, borrow a generator from a hospital guard, send someone to cut wooden poles for the stage area, check the sound system, etc. 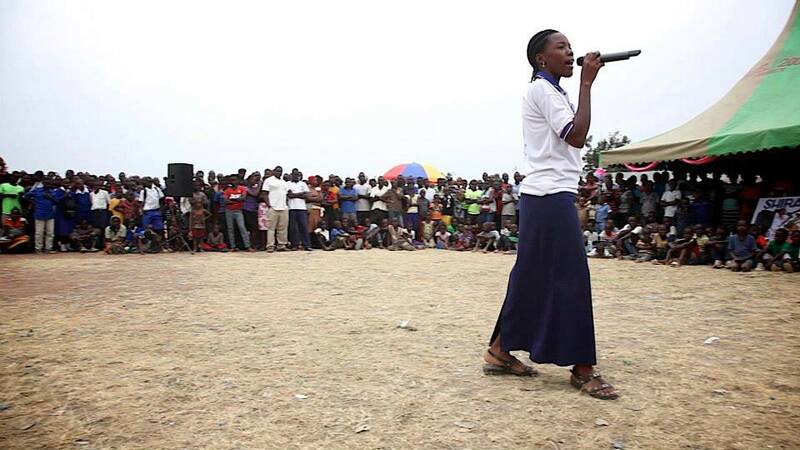 Additionally, our CHWs were busy finishing preparations with participants from our Female Hygiene Program and our Singing and Dance Group for their performances. When Valentine’s Day came around, we were excited to invite the community to check out this new and one-of-a-kind event in the Rorya District. All competitors were on time and charged for the semifinals, and they did not disappoint in front of a crowd of more than seven hundred people. The show had an electric vibe with more and more community members continually trickling in throughout the show. In addition to their artistic performances, all participants had to give answers to questions about WASH, which the judges also factored in. The highlight of the show was an original song written by 12-year-old MSG Female Hygiene Program participant Joyce Thomas about the importance of staying in school. The song brought support and cheers from numerous women in the community! The judges, Susan Waltisberg and Consolata Ladis from MSG, Paulo Masweta from the local radio station, and community favorite Fred Chacha, had some very difficult decisions to make, but they were able to select the five finalists who would be performing at the Shirati Market on Monday, February 16, 2015 – competing for 215,000 Tanzanian shillings ($135). After a Valentine’s Day community dance party with the competitors, the semifinals had everyone leaving the MSG office with smiles on their faces and collective community pride in their hearts. With the quick turn-around of only one day, the MSG team quickly shifted its focus to organizing the finals, which we anticipated would be our biggest event ever. The CHWs used the morning of the finals to promote the event by driving around Shirati with a public announcement system and by visiting market goers and teaching them about WASH and disease prevention. Meanwhile, the stage was being set, and the judges were arriving from the local radio and partner organizations for the inaugural finals starting at 4 p.m.
Once the finals started, over 1,200 community members came together to watch each finalist perform an individual and a Maji Safi Group-themed piece and answer two questions about WASH in front of a very enthusiastic crowd. The message of preventing disease and improving Shirati’s public health situation went hand in hand with celebrating local talents. With his stand out Maji Safi Group-themed performance, Double A brought the crowd to the point where community members were running onto the stage to give him tips. After much deliberation, the judges chose Double A as the proud winner of the first ever “Shirati Wanavipaji”! “Shirati Wanavipaji” was a huge success for MSG. We were thrilled to have such great support from the community and to see that the MSG team’s innovative idea worked. Maji Safi Group is proud to be the only organization in the Rorya District that puts on events that provide a stage for local talent to bring awareness to public health issues! We look forward to making “Shirati Wanavipaji” an annual celebration of community talent that helps build momentum around MSG’s mission of preventing disease and promoting a healthy lifestyle.